When it comes to roofing, many of homeowners prefer doing so on their own, and some of them prefer hiring professional roof installer for the best outcome. If we take the note of experts’ suggestions, it is always better to go with expert professionals who know how to make the best of roof installation in Nashville some of the best-known company are the company like Beneficial Roofing. we will discuss some important points with regards to the benefits of hiring professional roof installers and about some essential measures which require being considered properly. First of all, if you choose Beneficial Roofing for the roofing installation & repair in Nashville, you will find the best product and service with great warranty offers. They are licensed to execute the assignment and are capable of meeting the highest standards while roofing or repairing the rooftop. One of the best benefits of hiring Beneficial Roofing company is to get the best in-house consultation at zero cost. And it is somewhat the most effective way to ensure huge savings on the overall cost. The professionals approach your home and take a look at your home. And then they come with a concise recommendation to suggest the best solution to your requirement. Though the experts own good expertise on repairing and installing roofing materials, your works are ascertained to get accomplished through proper strategy. They are capable of completing the project within the stipulated timeline with the utmost accuracy. On the other hand, they don’t leave the place when the work is done; rather they clean all the debris around the workplace and make your house as clean as it was previously. Beneficial Roofing company in Nashville are known for completing the roofing with high excellence and utmost perfection. They have the latest technique and tools to deal with the critical job, and thus they also ensure safety and security to the people against any potential hazards. Regular roof restoration is necessitated by numerous elements that include damages from storms, seepage of water, general corrosion, inappropriate design, issues with flashing and many others. Not enough maintenance may result in serious conditions where you are forced to improve the complete roofing. As a result, you need to be extremely concerned with your roof as it is often the component of any building that gets broken most quickly. Roofs that are adequately steep can easily far better deal with adverse conditions compared to low-sloped types. Insufficient adequate maintenance, inadequate proper care through the layout and installation stage, using substandard materials and so forth can easily prove to be very devastating to the life of your roof. Despite having your highest proper care, presently there could always be occasions when you’re called upon to make emergency repairs. You will need to constantly keep in mind roofs are the most prone parts of your house and therefore, needs your assistance as well as care to carry on for very long periods. Emergency roof maintenance is necessitated by storms, hailstorms, etc. Even simple leaks at the most unforeseen instances would require fast repairs. Roof restoration, consequently, is a constantly continuing method and hence there is a need to do them most efficiently and also economically. Sometimes people masquerading as roof repair specialists would probably knock your door immediately after a storm. Be guarded against such mysterious individuals. Roof repair installers would be the best suited to patch-up your harmed rooftops. It is crucial that the maintenance should be done in a futuristic manner to save recurring charges. In areas frequently lashed by heavy storms, due care needs to be given to buttress the roof in a way that only minimal storm damages happen throughout the following storm. Leaks should be filled quickly after detection. Roof restoration is not just the operation of changing or mending damaged areas. Each eave, tiles, gutters, downspouts and other related areas must be checked out for damages. 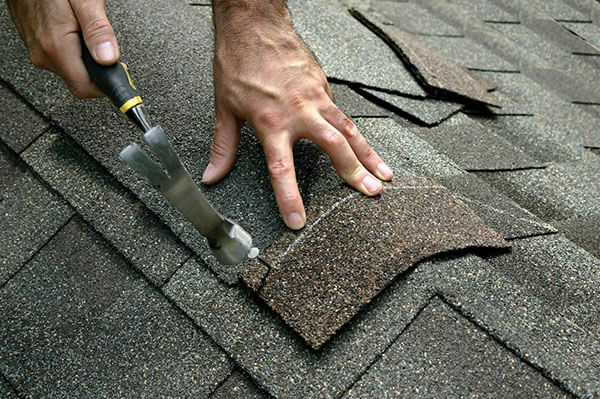 It is more cost-effective to replace used up tiles, shingles and so forth than repairing them. Since roofs are usually of various varieties, you need to apply different tactics. As an example, completely built-up roof systems could be restored making use of plastic roof cement where as duct tapes as well as sealants are best-suited repair materials regarding roofs made from thermoplastic systems. So, with the benefits mentioned above, it is always better to select Beneficial Roofing for Nashville Roof Installation and repairing job. But, it is your job to select an experienced and expertise professional by checking all the critical aspects carefully. Make sure you have gone through the credentials that your select professional holds. On the other side, you should check if the roofer has completed successful roofing projects previously.